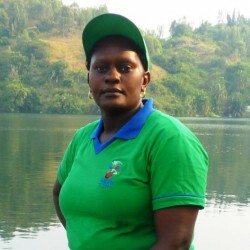 Josephine BbaaleMrs Bbaale Josephine holds a Master’s in Business Administration from Ndejje University/Uganda, a Bachelor of Science in Accounting and an Advanced Diploma in Business Studies from National college of Business studies Nakawa. Ten years before joining ARCOS, Mrs Josephine worked with Reliable Corporate Solutions as an Associate consultant where she led services in the review of finance policies and manuals, human resource qualification and evaluation, and training in small scale business management. She also worked for Uganda Women Effort to Save Orphans (UWESO-SMS) as a Finance Manager and worked with Foundation for International Community Assistance (FINCA) as a Regional Accountant. As Director, Administration and Finance, she is responsible for direct control of ARCOS’ Financial projects performance, procurement processes and Assets management. She manages contracts for all ARCOS staff, suppliers, vendor, and consultants. She monitors and reviews performance of the finance and administration departments and address gaps according to set targets. She also spearheads and manages the budget function at organisation wide, grants and collaborative partnership management, and coordinating internal and external audits.